Without being seen, a book fairy leaves a book behind in public places for someone else to discover, and future readers are encouraged to read the book and then hide it again. 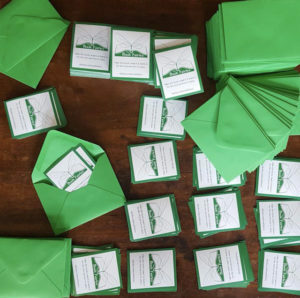 To get started, visit The Book Fairies Shop to order official stickers, ribbons, and bookmarks for the pile of books you wish to share. Drop your book at your desired location and snap a picture. Upload the photo on Instagram and/or Twitter. Include a brief description of the location and a short blurb about the book, if desired. 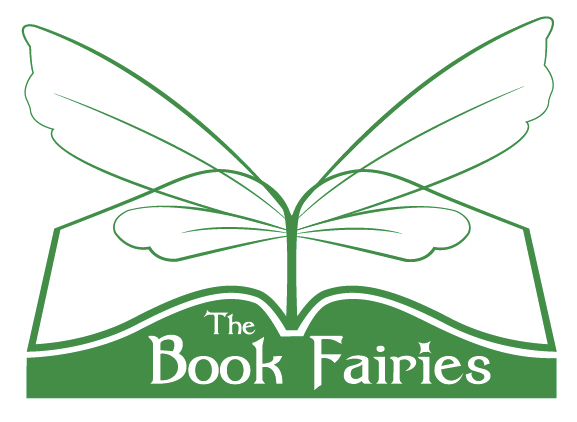 Be sure to tag the Official Book Fairy in your area as well as @bookfairiesworldwide. Don’t forget to include #ibelieveinbookfairies when you post. For the past few weeks, I’ve been following the activity of other book fairies as we wait for our order of stickers to arrive from overseas. 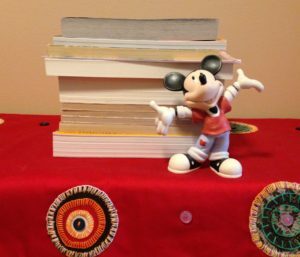 My daughters LOVE their books and aren’t quite ready to part with their paperbacks, so we set a small budget and searched for our favorite titles to purchase. We now have quite a stack of books to share, and I can’t wait for our first book drop! At once, I knew this was a movement my daughters and I should join. My hope is that there will be several who read this blog post and decide to get involved as well. What a fun and magical idea!